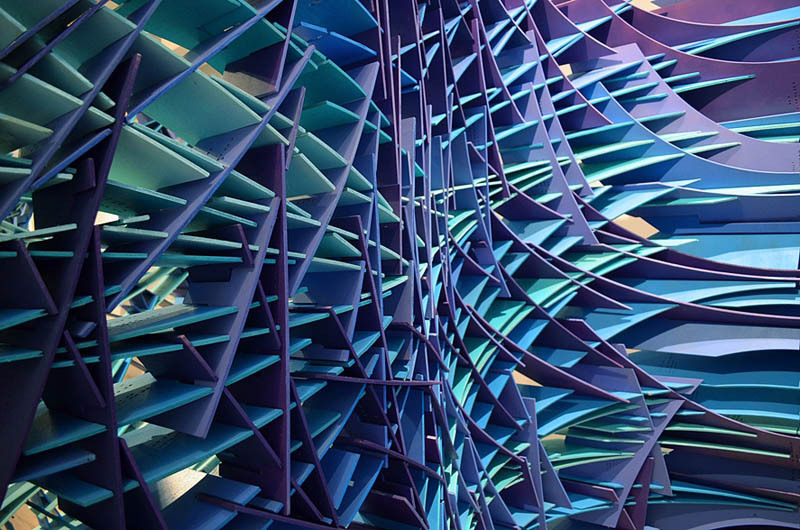 New York and Los Angeles based architectural firm FreelandBuck, run by principals David Freeland and Brennan Buck, has created an installation currently on exhibit at the Bridge Gallery in NYC titled Slipstream. …Architects have used digital software to imbue structures and spaces with some of the same qualities as Da Vinci’s meticulous drawings: fluidity, undulation, instability and temporality. But while software has allowed architects to create novel, dynamic forms digitally, they have struggled to translate these qualities to the physicality of the material world. 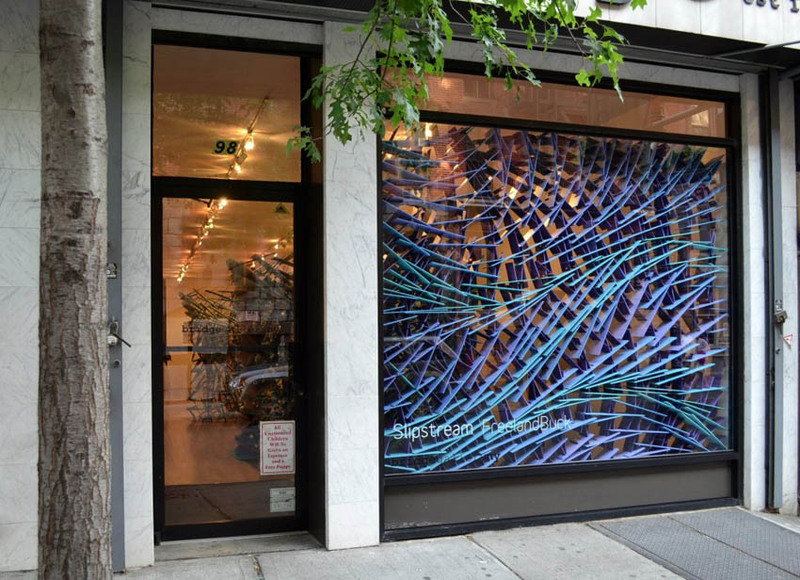 Slipstream is a physical structure that confronts that leap directly, translating a 2-dimensional digital line drawing into 3-dimensional space. Alluding to Lebbeus Woods’ 2010 ‘Slipstreaming’ drawings of flow, the installation is a single drawing extruded through the gallery space and cut away to produce a set of interconnected spaces. The linear extrusion acts as both structure and dynamic visual filter, shifting views through the installation and between the spaces it defines. It’s integrity as a structure is masked by both its redundancy and bright coloration. The exhibit runs through August 24th at the Bridge Gallery on Orchard Street. Photos courtesy of the architects; Carles Faus; and the Bridge Gallery. This entry was posted in Architecture, Art, Just Plain Cool, NYC. Bookmark the permalink.